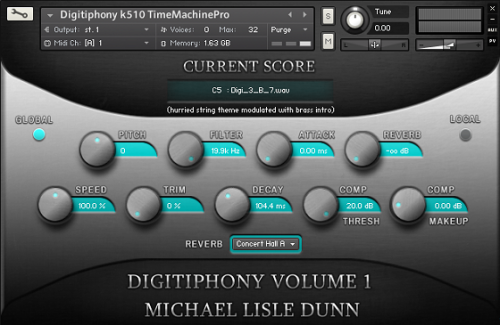 Mike Dunn Digitiphony Vol 1 KONTAKT-DISCOVER | Free eBooks Download - EBOOKEE! Posted on 2014-04-16, by bruce990. Electro Orchestral Instant Scoring/Soundtrack Tool for Kontakt 5. Sync Licence included (conditions apply) Contains 88 complete musical phrases mapped across the entire keyboard range with dedicated controls for local (single samples) and global (all samples) editing and real-time manipulation. Ideal for film students, Video Editors and directors - easily assemble soundscapes, stings, loops and themes for your productions within a unified musical framework. Change tempo, pitch, duration and more for unique custom underscores. No comments for "Mike Dunn Digitiphony Vol 1 KONTAKT-DISCOVER".